Orange Autumn,. 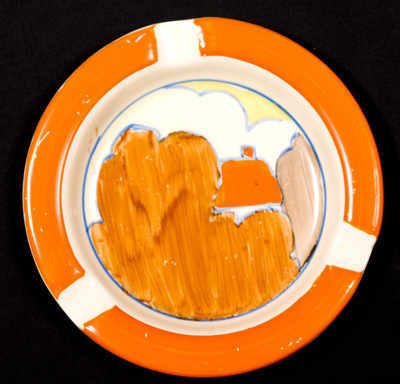 Ashtray in the Orange Autumn pattern. No damage or restoration. Few scuffs to the Banding. Size is 5 inches wide. Signed Bizarre by Clarice Cliff. Price £165.